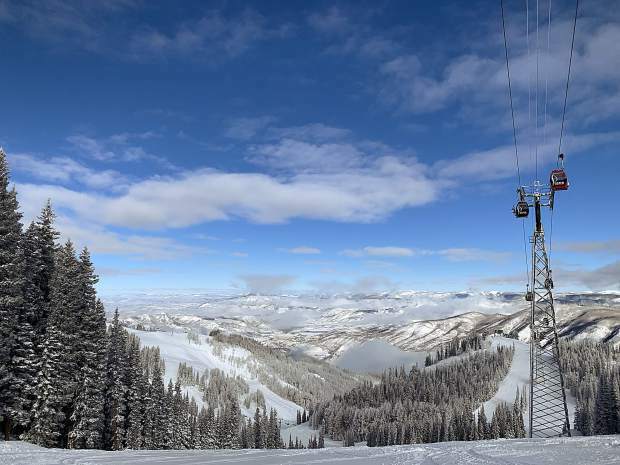 I will be attending my fourth opening of the season Saturday when the last of Aspen Skiing Co.’s mountains (Buttermilk) starts loading the lifts. I’ve been a diligent opening-day attendee this season for two reasons. First: I technically have to be there for work purposes as the person behind the camera for The Aspen Times’ Facebook Live and opening-day videos. Second: I genuinely enjoy braving the chilly temperatures to get early tracks on the mountain and be part of the revelry. And opening day isn’t the only time you’ll catch me with my extra layers on, skis in hand, marching to the mountains despite the frigid temperatures the Aspen area has been experiencing lately. In fact, I do this on a somewhat regular — my co-workers might even tell you daily — basis. As one of the hosts of The Aspen Times video series The Drop-In, I have the privilege of getting outside for work to help highlight some of the things I love most about living in the mountains and presenting them to you in a tidy video package three times a week. For me, it’s all about getting to take the viewer on a wintertime adventure and making them feel like they are a part of it, even if they are stuck inside, watching at their office cubicle in New York. The second season of The Drop-In launched Nov. 17 when Aspen Mountain opened early, and ever since we’ve been prepping and filming for an exciting winter ahead. While typically the episodes showcase skiing, snowboarding and other on-mountain activities around Aspen and Snowmass, we are looking forward to getting out and trying new, non-mountain winter activities this season. You can catch me on The Drop-In on Mondays, my co-host Anna Stonehouse on Fridays and on Wednesday we have someone from the Roaring Fork Valley take over and go out and showcase their favorite activity, ski run, etc. When creating The Drop-In series before last season, we thought it was important that we reserve one day of the week for locals because the people who live, work and play in the valley go on some extraordinary adventures and we want to provide a platform for them to showcase what makes them love where they live. If you ever want to be a Wednesday host, please email me at rlaudicina@aspentimes.com or Anna at astonehouse@aspentimes.com and we will make it happen. You can find the videos on The Aspen Times Facebook page as well as online at aspentimes.com on Monday, Wednesday and Friday. We also have an Instagram page @TheDropInAspen where we post photos, videos and mountain updates, so make sure you’re following along!